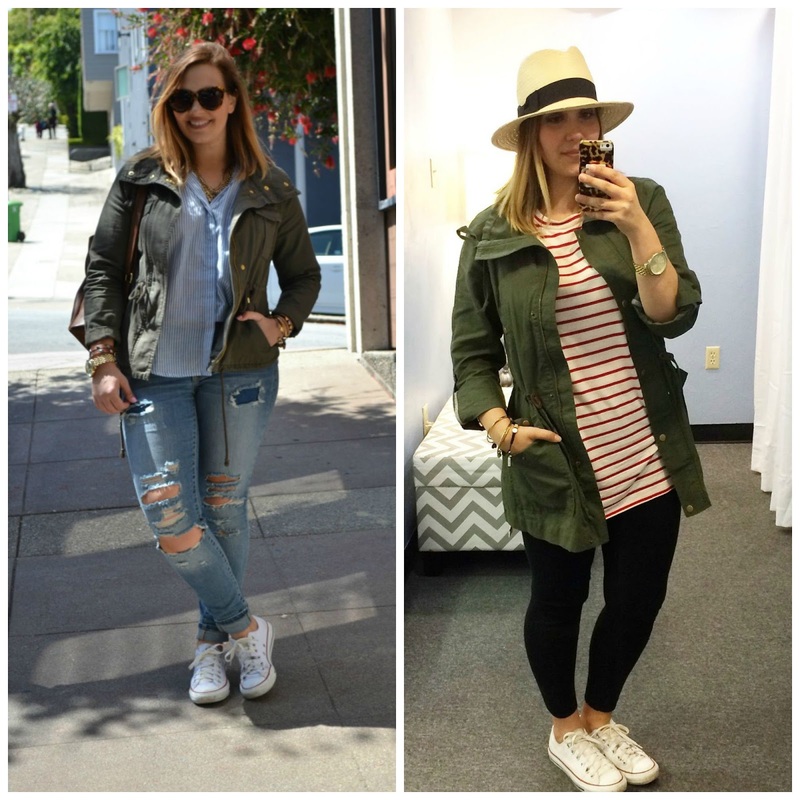 Over the years, I have developed a list of wardrobe essentials (you can read my list here and here). 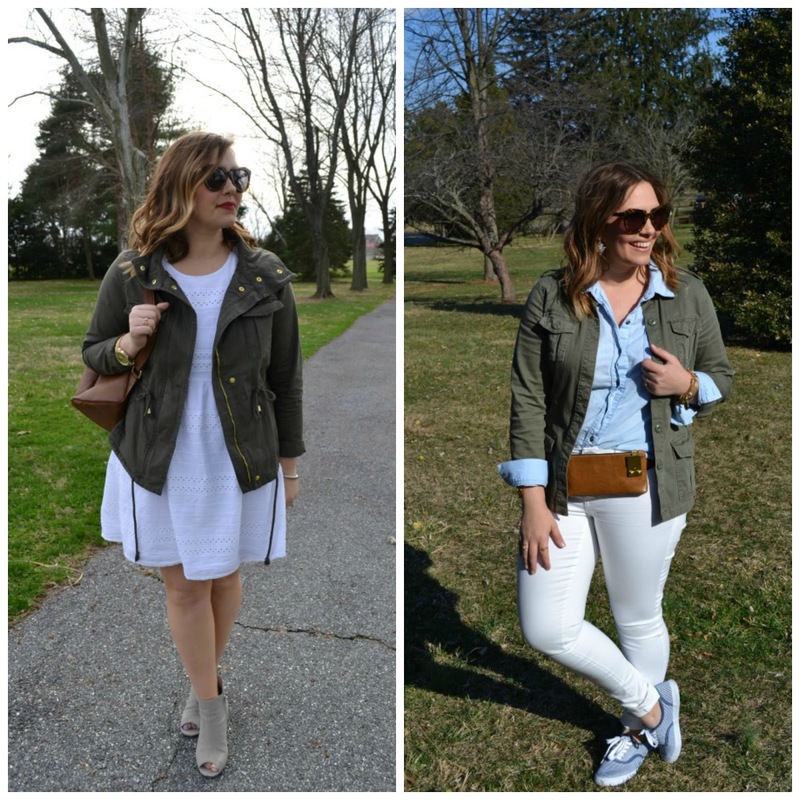 A utility jacket (or some call a military jacket) is a must on that list. It’s no exaggeration when I say I wear them year round- I treat it almost as an accessory rather than a function jacket. And yes, sometimes I even wear them in the summer, again as an accessory! 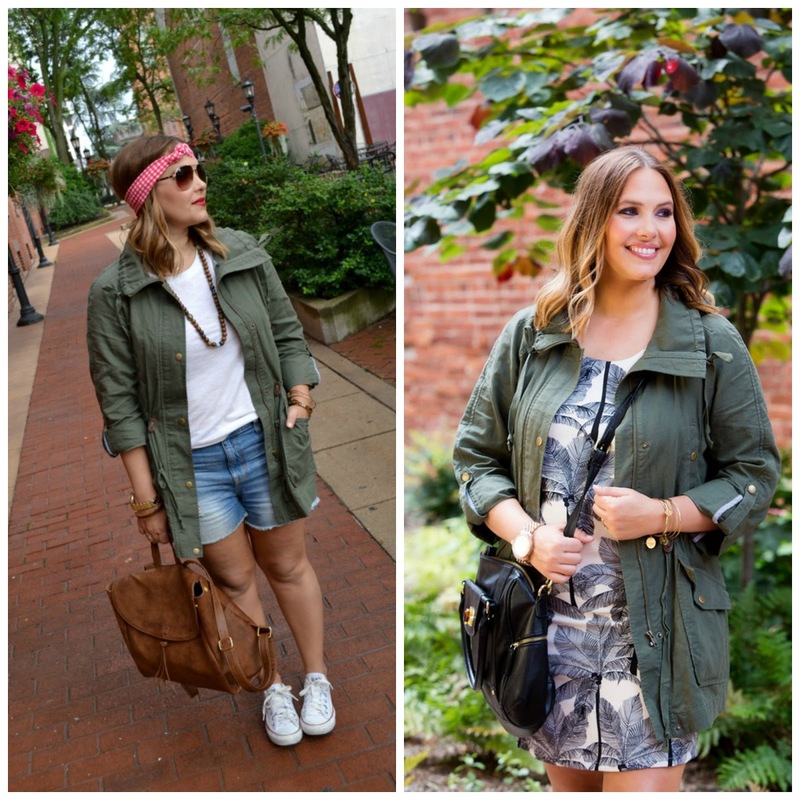 Because I feel it is such a wardrobe staple, I did a little digging in past posts just to show you all of the ways I have worn my (various) utility jackets. Yes, I have multiple. They vary in length, how dressy or casual they can be, how lightweight they are, etc. You really can’t have too many! Pretty versatile, right? And I can’t even count the times I have worn them that weren’t documented for the blog! I’ve done all of the work for you and found a ton of really great options at all price points! Definitely one of the best closet staples I have!